And with the arrival of the Christmas season, comes the end to the official golf season in Ontario. We are slated to keep the course open until the 16th, however, for all intents and purposes, we are done. There is a fair amount of work to be accomplished on the course prior to the arrival of old man winter. All course materials must be brought in, winter protection products to be applied, final cuts on all fine turf areas, as well as general housekeeping as we wait for the white stuff. We also intend to topdress the greens with one final application, in hopes of protecting the crowns of the plant from the cold brisk winds that we see here at The Saw. From my best guess, the greens received their final mowing yesterday. The forecast moving forward does not look very promising, and realistically, our Cato greens packed up and headed south many weeks ago. One of the more important preparations we make to our greens heading into winter, is allowing them to harden off, and store energy for their winter slumber. One of the most effective ways to do this is to let them grow a little longer than what we generally do throughout the season. By raising the height of cut on the greens, you are allowing the longer turf plant more room to store energy and carbohydrates through the winter months. This is turn gives it a greater chance of survival; something key after seeing the widespread damage from last winter. 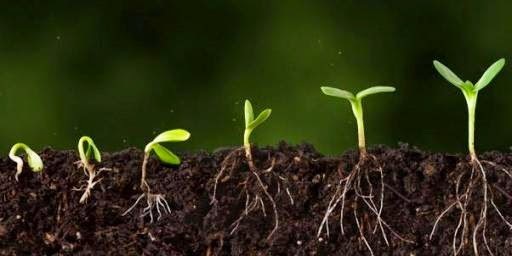 Although the above photo shows a plant form from germination as it grows, the principal is the same. The longer the plant is, the deeper the root system can be. As you can see, there is only one block on the tee deck. Some of you who have traveled to other courses will note that this has become more common for day to day play. We are not sure of the logistics of how this will work here at Sawmill, taking into consideration things like tee deck construction, tee deck orientation, etc. However, we thought it would be worth a try for the final few weeks of the season. Please let us know what you think so we can decide if this is something to carry on with.